JCube is set to inject new excitement into the retail, dining and entertainment scene in Jurong East. 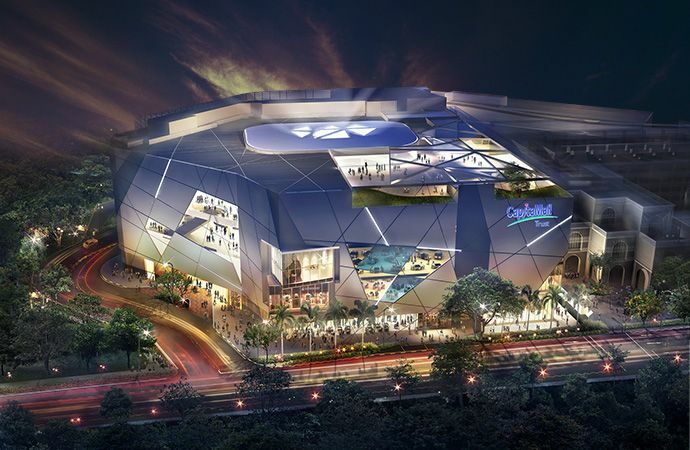 Designed by Benoy, the award-winning firm behind ION Orchard, JCube boasts an iconic façade inspired by an ice cube. Like an ice cube, it is designed to reflect natural light by day and sparkle by night. The mall will be home to numerous new brands making their debut in Singapore. It will be home to Singapore’s first Olympic-size ice rink 460-seat gallery, the 60 by 30 metre rink is designed to host international events and competitions for sports like ice hockey, curling and speed skating. The first IMAX theatre in the suburbs and offer extended-hours dining options.